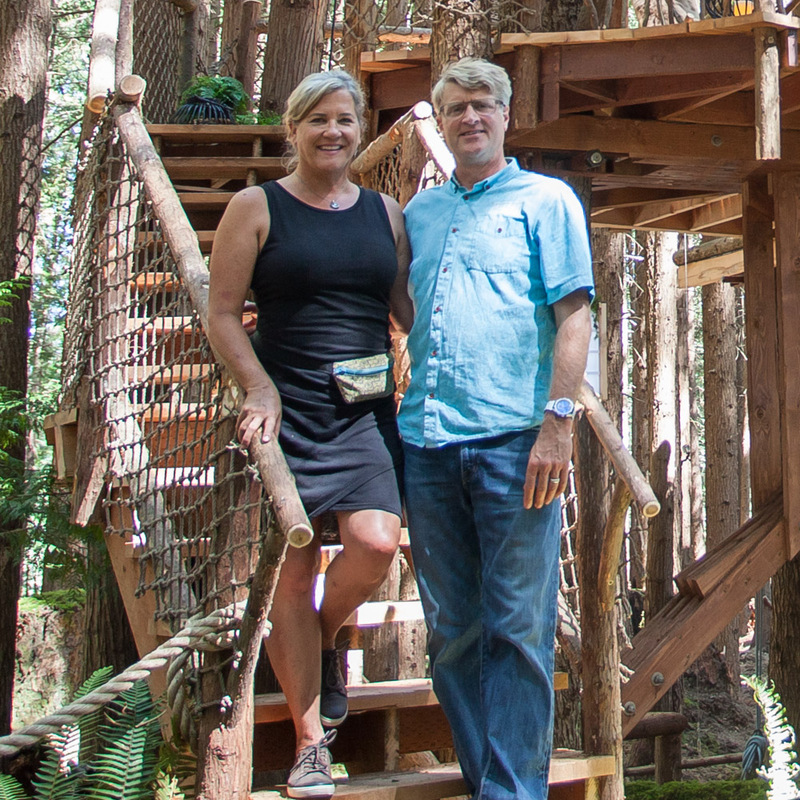 Pete Nelson's photo tours of treehouses from Season 4 of Treehouse Masters on Animal Planet. The whole experience of being in that place - both within the Beehive and on the artwork-peppered property as a whole - feels resoundingly surreal. Magical, even. It was a treat to build this treehouse in California! We hope you enjoy looking back at this sweet treehouse retreat as much as we do. Building this giveaway sweepstakes treehouse for James and his family in Jim Thorpe, Pennsylvania was such a special experience. Shelly and Bill asked Pete for a treehouse that could do double duty as a climbing classroom and relaxation space. Two barn doors open to a wraparound deck so that the climbing classroom can flow directly into nature. This treehouse bedroom retreat roosts 19 feet high in four hemlock trees and two white pines. Special details like the retractable window wall, copper roof, high ceilings, and crow’s nest add an artful touch. This sprawling Baton Rouge treehouse is one of the largest we've ever built!